"My new favorite sustainable, vegan, nontoxic fragrance brand Phlur just came out with body lotion, and I am l-i-v-i-n-g for it. Hypnotic (but not cloying) scent? Check. Leaves my skin insanely soft? Check. Non-greasy and fast absorbing? Check, check." "I recently received a treatment from this amazing facialist named Matthew Miller who used all Cosmedix products, and I was so impressed with how glowy and dewy its serums left my skin. The antioxidant serum, made with ingredients like resveratrol, witch hazel, and vitamin E, was my favorite. It left my freckly skin stupidly bright." "You know when you think you've met The One, and then something comes along and changes everything? This cleansing balm has made me feel that way. I'm honestly mad at myself that it's taken me so long to try it, especially since it was created by my friend, K-beauty expert Charlotte Cho. Knowing her skincare prowess, I should have known she wouldn't settle for anything short of incredible for her first product. 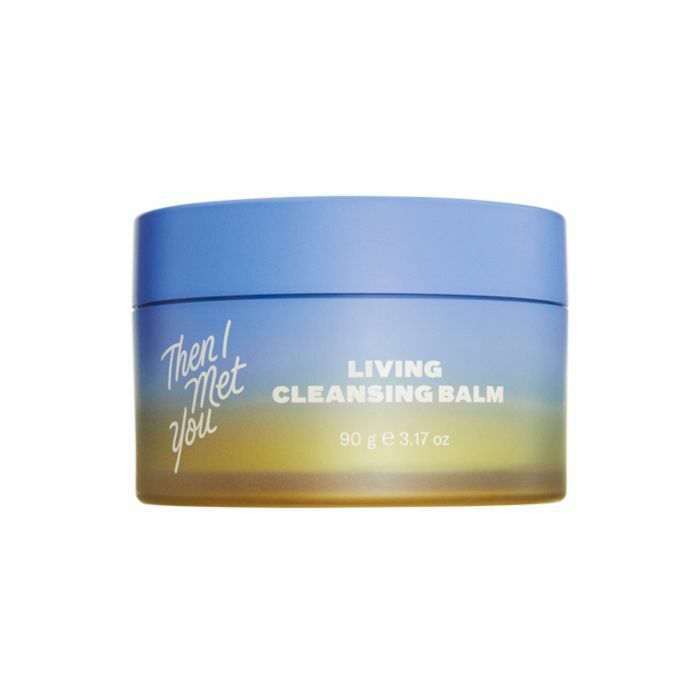 This olive oil–based cleansing balm looks and feels like butter. Unlike a lot of other cleansing balms, it somehow instantly melts into the most luxurious-feeling oil the second it touches your ski. Hence the 'sorbet-soft' effect. The smell isn't overpowering, but lightly fragrant, and more important, it removes all traces of makeup and leaves my skin feeling so soft and clean. I follow with the Then I Met You Gel Cleanser, and my skin has never been happier. Charlotte, never stop making this product. Please." "I've been alternating between a face oil and this grapefruit-scented moisturizer at night to keep my combination skin in check during the winter. It's chock-full of antioxidants and something called the Triple Turmeric Complex, which is made with turmeric root and has proven anti-inflammatory benefits), green tea, grape seed, and licorice for brightening. The texture is velvety and sinks in instantly, and I always wake up with skin that looks and feels glowy and balanced." "Ceramides are the building blocks of your skin—someone once described them as the mortar between the bricks—so it's important to use products with them if your skin is feeling dry and dehydrated. 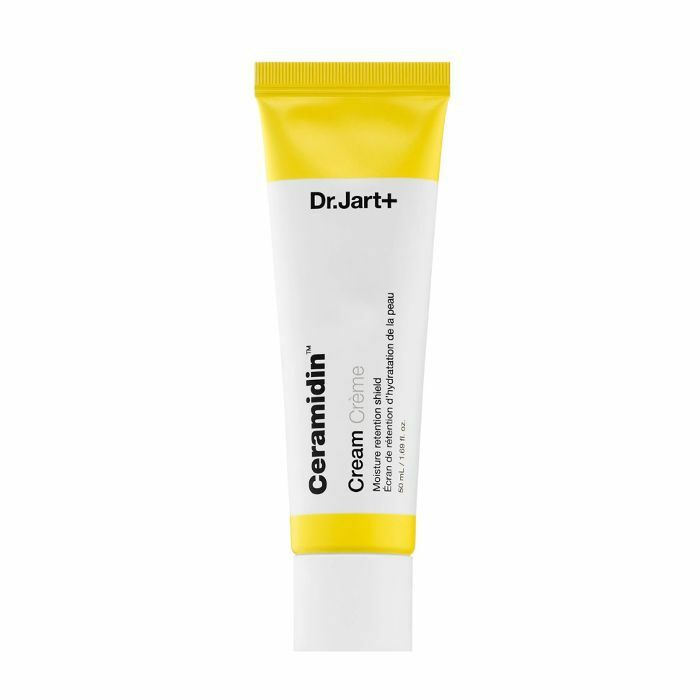 This moisturizer from Dr. Jart has become my go-to daytime moisturizer for winter. 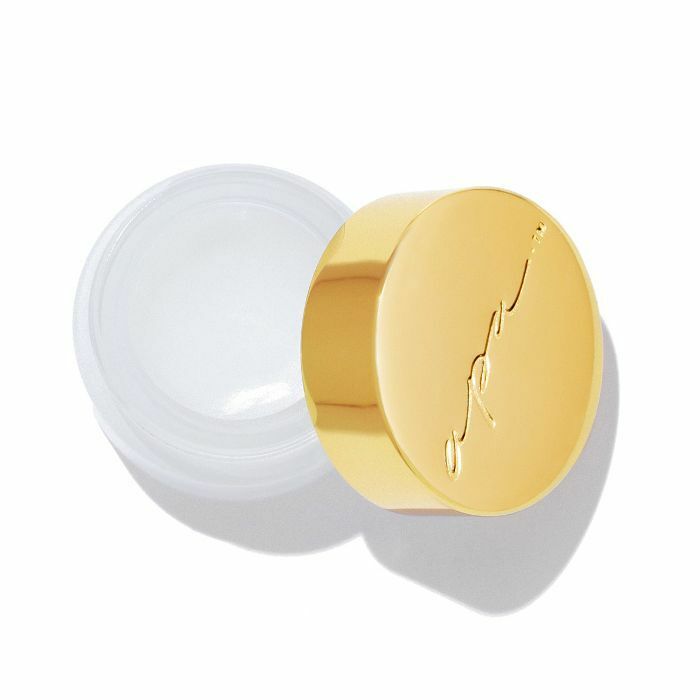 It sinks in instantly and is the perfect base for makeup, and my skin doesn't feel dry and tight anymore because of it. Plus, the ingredients are soothing enough for people with sensitive skin." 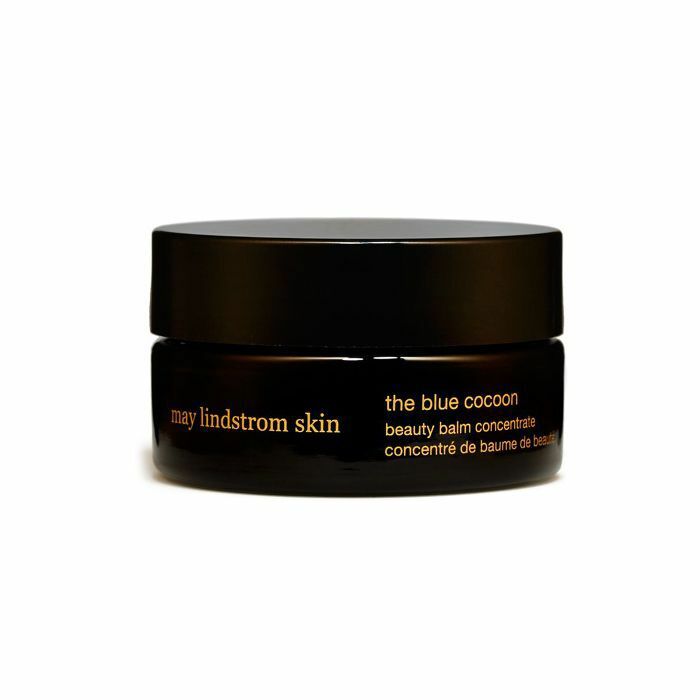 "Blue Cocoon has become a staple in routine, both morning and night, as it melts in my skin like the decadent, anti-inflammatory butter I've always wanted. Once warmed between your fingertips, the blue balm turns into an oil, letting organic, feel-good ingredients like shea butter, cocoa butter, marula, and baobab oils absorb into your skin. Instantly, you feel warm, soothed, and it even has properties to ease anxiety and stress. Skincare-wise, it plumps, smooths, hydrates, and calms irritated skin (which is why it's so good for wintertime). It's like magic and my very favorite part of my morning and nighttime routines." "It's no secret Eve Lom is one of my very favorite brands, offering up a cleansing balm I use twice daily without fail. Now, it's launched an essence, a skincare step I hadn't yet incorporated into my usual routine. It's brimming with AHAs (my skin's favorite) made from five botanical extracts to keep your skin smooth, even, and bright. The formula blends those ingredients with encapsulated retinol to properly anti-age and nix any fine lines. Altogether, it's a product that incorporates almost every single one of my favorite active ingredients and the stuff my skin responds best to. 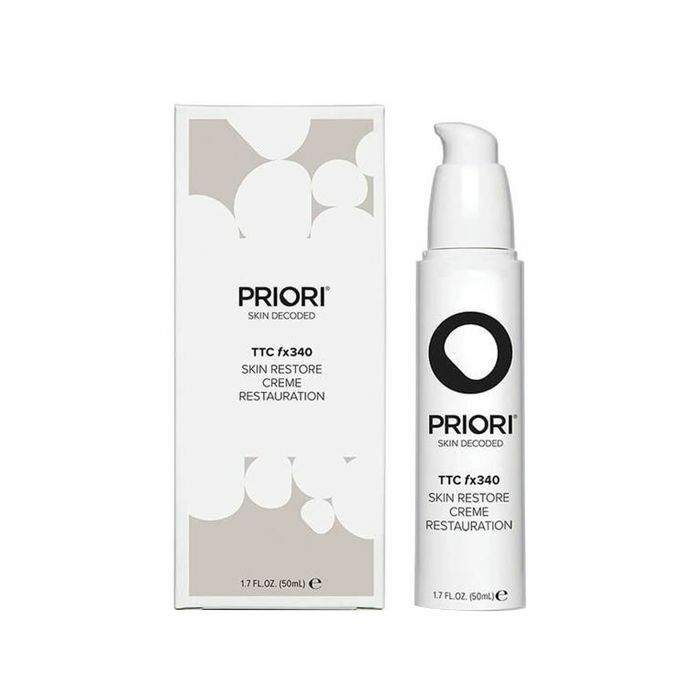 I just pat it on post-cleanse and continue with my usual routine, making sure to apply only at night as the retinol can cause sun sensitivities." "I'd heard such rave reviews about this lip mask, and as someone who suffers from perpetually chapped lips, I couldn't order it fast enough. My first impression is that the jar is quite big, a must for someone who applies product all day long. (I use it as a daytime treatment rather than an overnight balm so my lips can reap its benefits while I'm awake when my lips need it most.) Second, the consistency is a creamy balm that melts on contact and sinks deeply into skin. It's packed with fruit extracts like strawberry, blueberry, cranberry, and raspberry to nourish and protect the lips, and a hydrating film of hyaluronic acid to keep lips feeling moist for hours on end. Usually, I'm reapplying balm every hour on the hour, but with this mask, I'm covered for extended periods of time." "Another balm is topping my list this month. As mentioned before, I'm not a fan of balms that wear off quickly, but this variation created by celebrity dentist Michael Apa is just the long-lasting remedy I need. It's minty, non-sticky, and rich in natural oils to restore my lips and keep them feeling soft and plump." "Cue the gasp, but for the most part, I'm not a big fan of sheet masks. That said, French skincare brand Talika has always gifted my skin with exceptions. (I love its Bio Enzyme Brightening Mask so much I wrote a review on it.) However, the brand has truly outdone itself with this four-piece SOS Party Kit, which is honestly the most ingenious idea ever—especially this time of year when parties, booze, stress, and the overall need for skin TLC are rampant. Each pack is equipped with the Bio Enzyme Mask I love so much in addition to its Eye Therapy Patches (technically, you're meant to pregame with these first two), followed by its Eye Decompress and Bubbly Detox Mask (for your post-game). The quad is only $22 and a total steal." "I've always sworn my daily dose of collagen has worked wonders on my skin, so I was bummed, and a little concerned, when my recent venture into veganism left me unable to consume my previous go-to collagen sources. 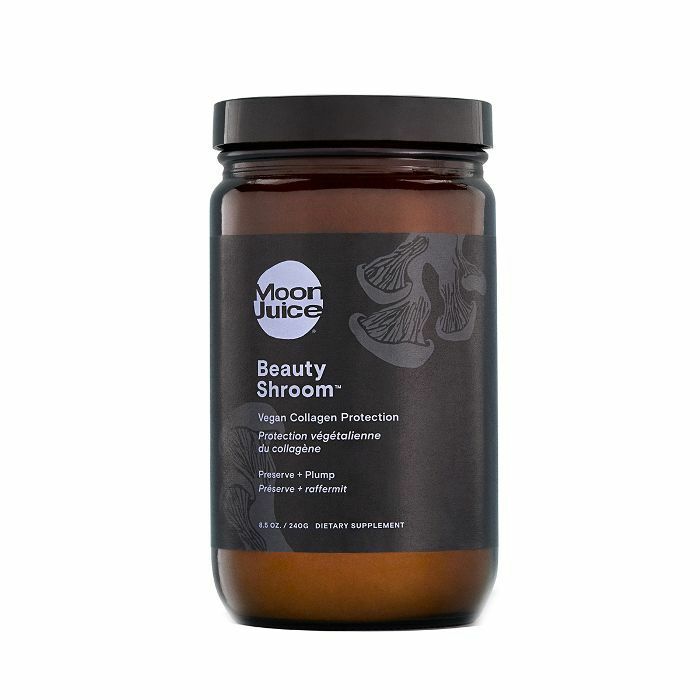 Luckily, Moon Juice's brand-new Beauty Shroom Vegan Collagen Protection couldn't have landed on my desk at a better time. 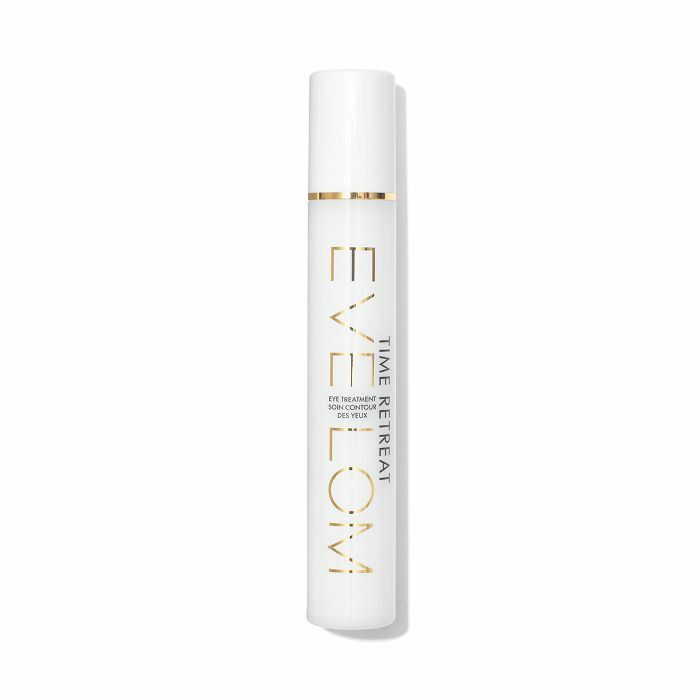 Essentially, it's a vegan blend of skin-protecting superfoods (hyaluronic acid, Silver Ear Mushroom, and tocotrienols) which are expertly melded with the intent of preserving the skin's natural collagen stores while encouraging increased hydration and a plump, dewy, complexion. I've been adding one to two tablespoons into my coffee and smoothies every day and swear I've already begun to notice a difference in the clarity and brightness of my skin." Did you miss our top picks from last month? Take a look at our November favorites here.